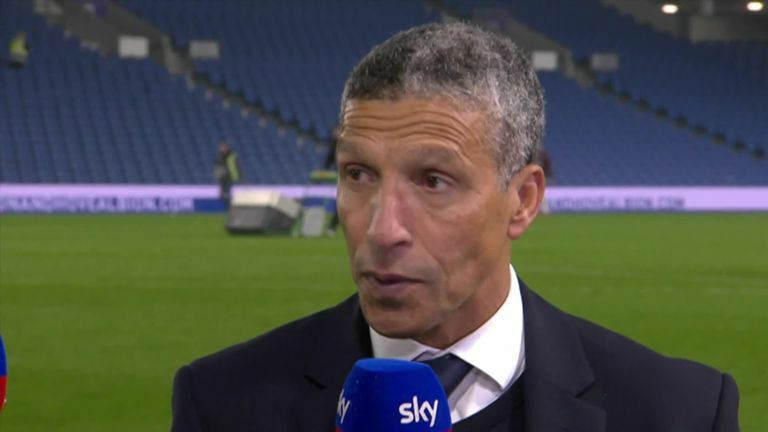 Brighton manager Chris Hughton praised his back four after they helped keep a clean sheet in his side's 1-0 win over West Ham United on Friday night. 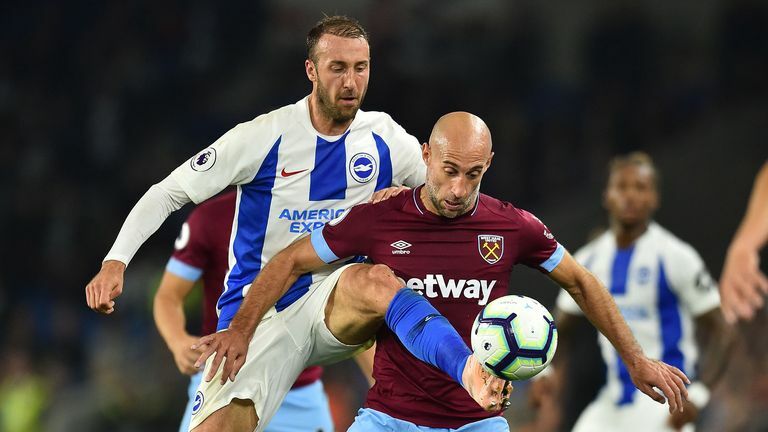 Glenn Murray scored the only goal of the game after 25 minutes to hand the hosts victory at the Amex. However, it was a first clean sheet of the campaign - recorded by the tried and tested defence of Bruno, Gaetan Bong, Shane Duffy and man of the match Lewis Dunk, operating for the first time this season - that most pleased Hughton. "It is a little bit difficult to get the right combinations. The two centre-halves have played so many games together," he said of Dunk and Duffy, who both signed new five-year deals on Friday. "And I just thought after the last couple of games that we needed Bruno's composure on the ball,"
"In the end, though, it probably was not about composure, it was about trying to defend well on that side because I thought they were very strong on the flanks. "The centre-halves are as brave as each other, but when you are in that sort of mode, you know you have to throw your body on the line. And it takes that to get a result. "We rode our luck as the game wore on, sometimes you need that. It is a clean sheet for us, the first of the season, sometimes you ride your luck and what you also need is a goal scorer. "So when you are hanging on, you at least have the protection of that one goal and in the end it was our night." Hughton, though, was unhappy with the pressure his players brought on themselves after the break, pressure that nearly yielded an equaliser for the visitors. "We had to work hard for it and we made a lot of poor choices on the ball today and we rode our luck," he said. "But in between that, we had to defend very well. "These are a good side and they have really good forward options. But we had to have really good periods in the game where we defended well from the front. We have had to ride our luck a little bit, but sometime these are the games you get the most from. "I thought we made so many poor choices in possession today and the only reason they had the periods of the game that they had and were able to build into that front free was because we gave the ball away far too often."